Ronald Fisher (1890-1962). 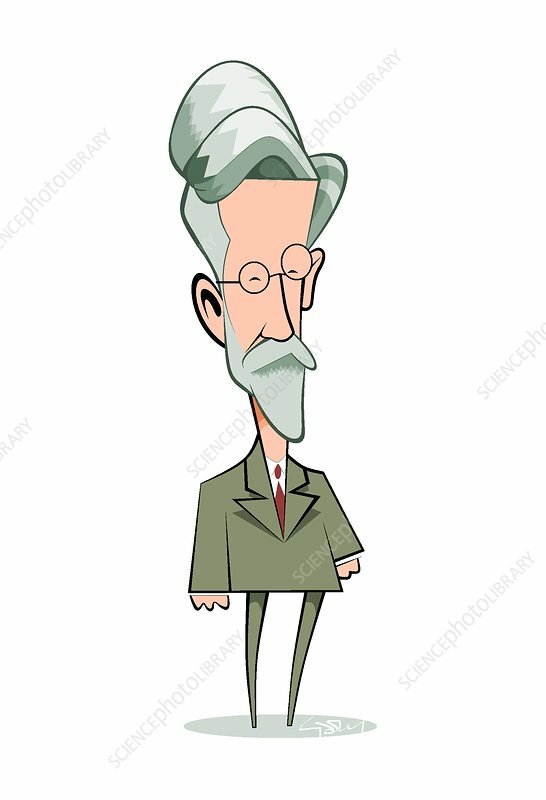 Caricature of the English statistician and geneticist Sir Ronald Aylmer Fisher. Fisher is best known for his ground-breaking book 'The Genetical Theory of Natural Selection' (1930), in which he showed that Mendel's laws of inheritance and Darwin's theory of natural selection are in full accord. His contributions to statistics include methods of experimental design and the genetics of the rhesus blood factor. Fisher became professor of genetics at Cambridge in 1943, and was knighted in 1952.